On Thursday, Microsoft took the unusual step of combining its Bing and Cortana product teams with Microsoft Research, in a bid to accelerate innovation for both the search engine and the digital assistant. The move was part of a broader reorganization that saw Microsoft split its Applications and Services Group, which also included Microsoft’s Office applications, into two separate organizations. Office applications will form their own group. 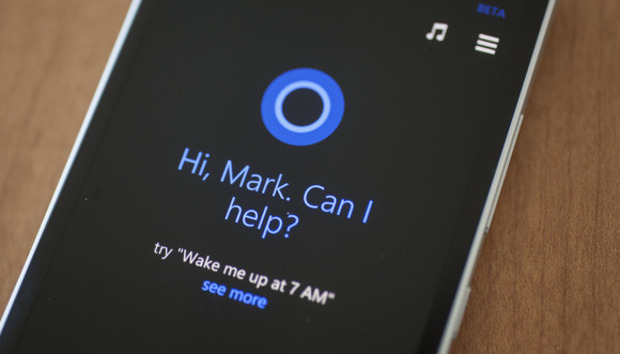 Though Microsoft has asked researchers to work on projects that could eventually be commercialized, combining teams that work on active products, such as Cortana and Bing, with the future-facing teams that comprise Microsoft Research, is in fact unique within Microsoft. Together, Bing and Cortana, plus Microsoft’s Information Platform and Ambient Computing and Robotics teams, will form the Microsoft AI and Research Group. All told, the group will include more than 5,000 computer scientists and engineers, Microsoft said. The newly-formed AI and Research Group will be led by Harry Shum, who's previously led Microsoft Research and Bing’s engineering team. Why this matters: For over a year, Microsoft has been injecting intelligence into as many products as possible. Cortana can remind you when to leave for an upcoming appointment, based on your calendar and the current traffic conditions. Business intelligence products like PowerBI now take center stage among Microsoft’s enterprise products. Skype Translate, which Microsoft chief executive Satya Nadella has described as “magic,” uses speech recognition and machine learning to translate spoken conversations in real time. Placing the Bing and Cortana teams within Microsoft’s research group probably means that Microsoft hopes to push out feature improvements to both products at a faster rate. At the company’s Ignite conference this week, Nadella talked about Microsoft’s goals to bring intelligence to the masses, in much the same way that it has done for data. Microsoft’s reorganization was spurred in part by the decision by Qi Lu, who led the former Applications and Services Group, to leave the company following a bicycle accident, according to Geekwire. What remains of the Applications and Services Group will be renamed the Office Product Group, led by Microsoft executive Rajesh Jha, the site reported. Placing Cortana and Bing within a research organization means that both of those groups will directly benefit from the proximity to researchers. Cortana is in a tight race with Apple’s Siri and Google Assistant—and the latter has moved ahead, in my estimation. However, Microsoft does not intend to slow the addition of intelligent features to other products like Office or Azure, according to a company representative.